Mackmyra is Sweden's first ever distillery, starting production back in 1999. 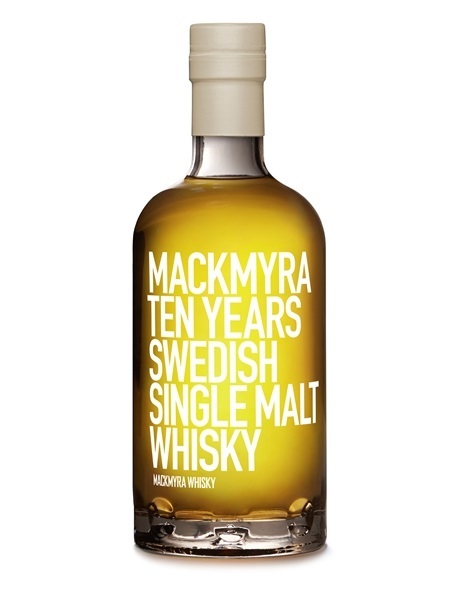 It has been a while coming, but we now have an age statement expression from Mackmyra. Having started in humble beginnings, volume-wise at least, it wasn't until 2005 that they began to ramp production. Now, in 2017, they have sufficient amounts to release a 10 year old - 22,500 bottles. The bulk of the contents is 10 year old, but there is also some 11 and 12 year old in there too. Ex-bourbon, Swedish oak and virgin American oak all feature in the maturation and Mackmyra 10 year old is bottled at 46.1% ABV.